The MCA have formally advised us that the planned meeting on the under 500GT large Workboat Code, provisionally set for 12th June, is not going ahead. The reason for this is two-fold, although the two issues are closely linked. Following the comments made by the judge in the Cheeki Rafiki court case the MCA will undertake a regulatory review of MGN 280. They therefore wish to prioritise resources to that review and will not have the resources to move the under 500 GT code forward at this time. In addition, given that the work on the under 500 GT code has built on the draft text of Workboat Code edition 2, which itself is a development of MGN 280, there is a significant amount of common text between MGN 280 and the draft texts of Workboat edition 2 and the under 500 GT code. Therefore it is highly likely that the review of MGN 280 will have consequential impact on both draft Workboat codes. 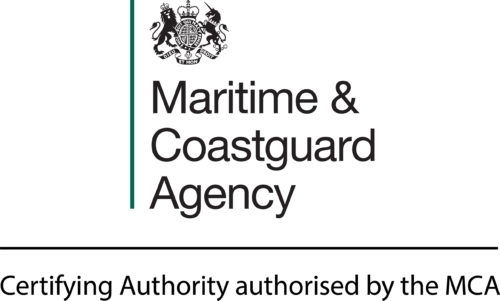 To support the review the MCA are recruiting a new Regulatory Delivery Officer and their first tasking will be to move the review of MGN 280 forward. The MCA assure us that they are aware of, and very grateful for, the time and effort that we have put into the development of the under 500 GT code thus far, and are equally aware that this email brings news that we are likely to find frustrating. However they feel that it would be inappropriate to continue to use our time and energy on this code when in reality they are unable to give any assurance about when the MCA would be in a position to publish it. We are disappointed with this after spending so much time & effort in developing & supporting both the WB Ed2 & 500 Codes (and previously the colour codes & MGN280). At a time of uncertainty, UK Maritime really does need support from government. The 2 codes were to be important opportunities for the UK to market our standards & hence our products internationally. Resources must be found to finish this work before other Flag States catch up with their standards & the UK misses the boat! We do hope that the new Regulatory Delivery Officer will have those resources to tackle these issues urgently so that we can quickly get back to the task of supporting UK industry & enhancing public safety in this domain. The National Workboat Association is in the forefront in pushing to keep these codes on track & we hope that the whole sector will get behind them in this vital task. To that end we will be keen to co-operate with the new RDO in achieving this objective . IPV Code for Pleasure Vessels in temporary commercial use.